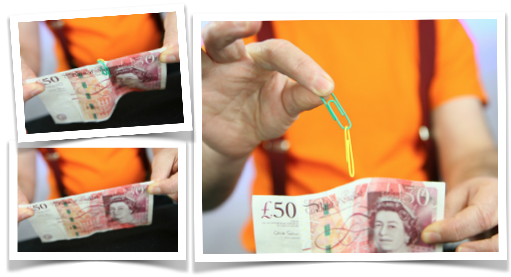 The linking paperclips is a brilliant impromptu magic trick and can be performed anywhere. 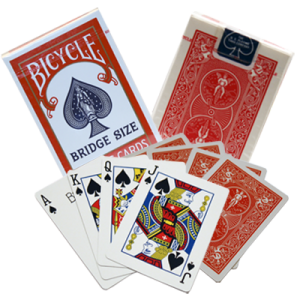 Impromptu magic is good fun as you do magic with everyday objects that can be handed out for examination before and after you do the trick. The effect of the linking paperclips is called a penetration. 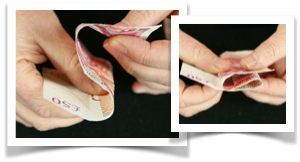 Take your paper note or piece of paper and fold it into a ’s’-shape like shown in the pictures left. 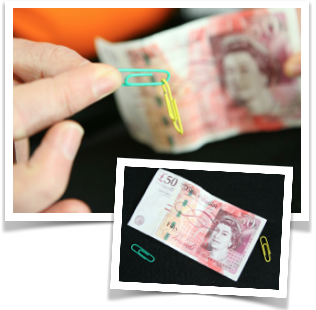 Place the first paperclip onto the note like shown in the pictures right. You want to join the front of the note (from the audience’s point of view) with the first ‘fold’ of the ’s’-shape. 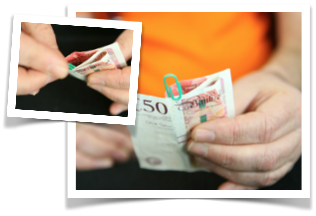 Place the second paperclip on the note like shown in the pictures, joining the second fold of the ’s’-shape with the back of the note (from the audience’s point of view). Time for the magic moment. 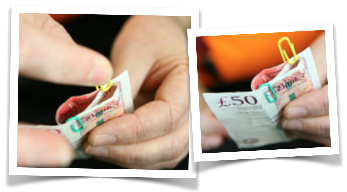 Holding the ends of the note or piece of paper between your forefingers and thumbs (see the pictures), pull the ends in opposite directions as to ‘unfold’ the note. This causes the paperclips to slide towards one another and then, as the note fully opens up, the paperclips link as if by magic! You have done the Linking Paperclip trick. Enjoy performing this trick to friends and family where ever you are.